← 20% OFF at Glitter My Party: The Shop! Hi, my party lovers! Today is “DIY Share Monday” and since the St. Patrick’s Day bug is still among us, I was thinking something green. 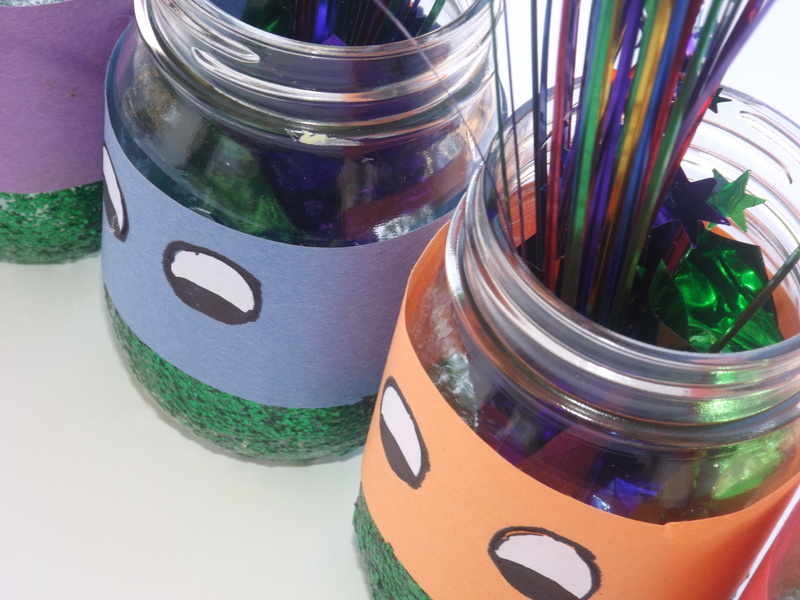 With all of that being said our DIY Share for this week are these super awesome Teenage Mutant Ninja Turtle Character Jars! 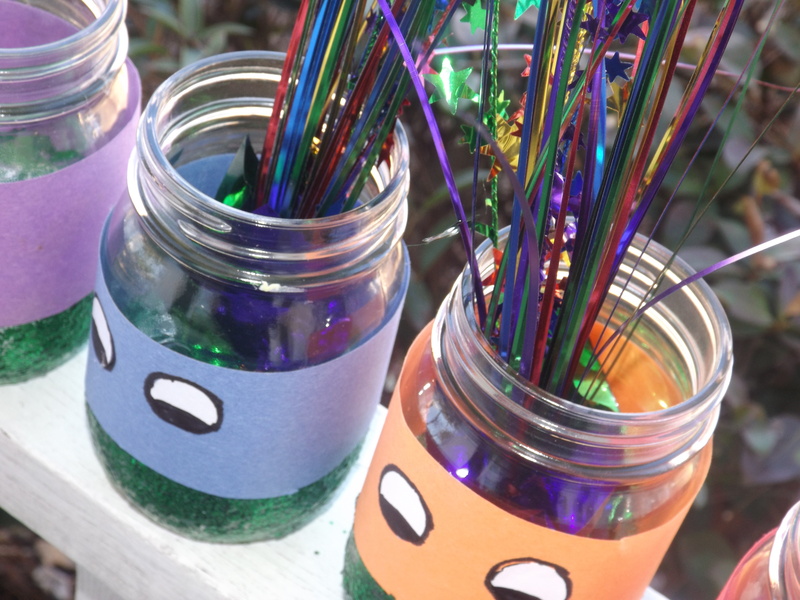 All That Glitters Event Planning and Design designed and styled these jars for a Teenage Mutant Ninja Turtle themed birthday party. 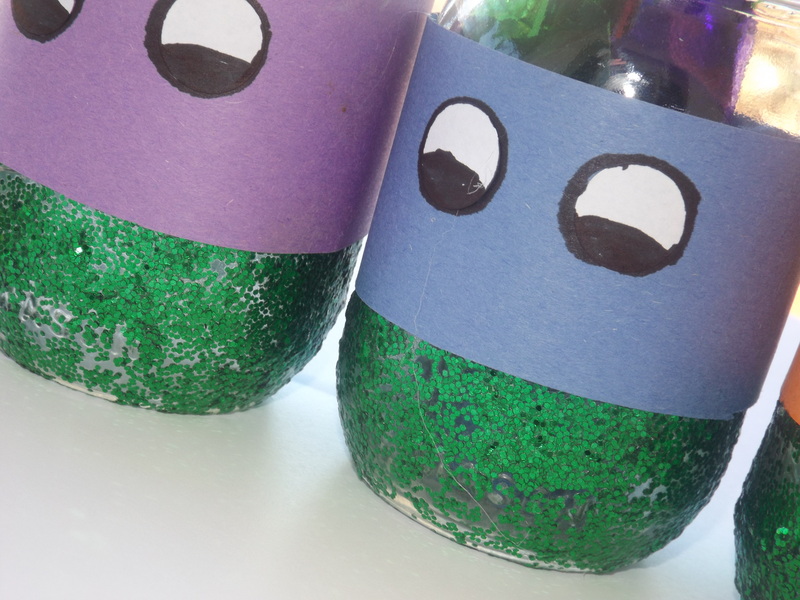 The jars were propped on the sweets table filled to the rim with candies color-coated to each turtle’s color scheme. Purple for Donatello, blue for Leonardo, orange for Michelangelo, and red for Raphael. If you are madly in love with this product as much as we are, then today is your lucky day! 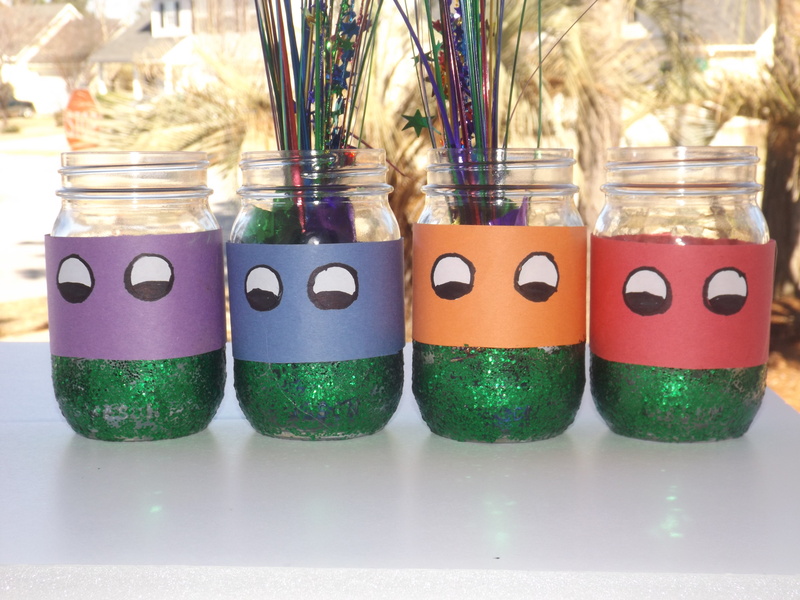 The total set of jars is on sale right now at “Glitter My Party: The Stop” thanks to Storenvy. No signup or anything is required. Click the product you would like, click checkout, pay, and done! Easy, right? I know. You’re welcome. If you would like to see a step-by-step tutorial on these jars or if you have something special in mind for next week’s DIY Share then comment below! Let us know how much you love it!